The number of fast food restaurants has more than doubled since the 1970s, so it’s no surprise that nine in 10 Americans consume too much sodium. Additionally, most of us eat too much of the following: solid fats, added sugars, refined grains and saturated fats. Portion sizes are getting bigger—the average daily caloric intake has grown by 600 calories in the past 40 years—but fruit and veggie servings aren’t. Only 21 percent of adults get their recommended fruits every day, while just a third get enough vegetables. Part of the diet deficiency comes from the fact that people’s lives have gotten so busy it’s hard to fit in a healthy, sit-down meal. Nearly 40 percent of us work more than 40 hours a week, and we get, on average, 90 minutes less sleep than we should. More than half of Americans feel burned out and overworked, and most of us use only half our vacation time. As a result, we’re cooking less. Fewer than 60 percent of home suppers in 2014 were actually cooked at home, compared to 75 percent in the 1980s, and men and women combined spend 30 minutes less at the stove each day. Poor diet is taking a toll on our health. Three-fourths of healthcare spending goes to treating preventable chronic diseases—most of which are related to diet. So what’s the answer? For busy families, Portland nutrition counseling experts recommend meal planning as a strategy for healthy eating. Check your schedule. 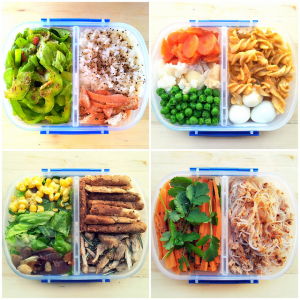 Take stock of your plans for the week and estimate how many meals you need to plan for. If it’s an especially busy week, make a note to choose fast recipes, slow-cooker meals or foods you can make in advance. Anticipate cravings. Check the weather forecast and try to anticipate what foods you’ll be craving on those days. Consider your grocery budget. To maximize savings, plan your meals around seasonal produce and supermarket sales. Start a master recipe list. Start collecting recipes you like and refer to the master list as you fill in your calendar. Choose two-in-one recipes or make double batches and freeze some for a quick meal in a pinch. Write a shopping list while you plan. Jotting down a grocery list while you fill out your meal calendar saves time and reduces the chances you’ll forget a key ingredient. Choose a shopping day. Making grocery shopping a regular part of your routine helps planning and preparing meals seem less daunting, since you won’t need to run to the store every time you decide to cook. Prep food after you shop. As soon as you return from the grocery store, start doing your prep work for the week. Chop veggies, shred cheese, and wash and dry salad greens. You can even start cooking components for upcoming meals, like roasting veggies, browning meat and making sauces. Keep your pantry stocked. Make sure you always have the staples on hand, such as olive oil and spices. Meal planning may seem like a daunting task, but with a little trial and error it can make healthy eating a breeze. If you’re not sure where to start, consult a Portland nutrition counseling professional for help. Once you have a master list of nutritious recipes to choose from, you’ll be able to get meals on the table with minimal effort.